Heading on a long road trip to get to you holiday destination? Instead of having to rummage through different cases and places in the car to find essential items, it’s time to reduce your search woes by consolidating whatever’s needed for your trip into a nifty backpack. 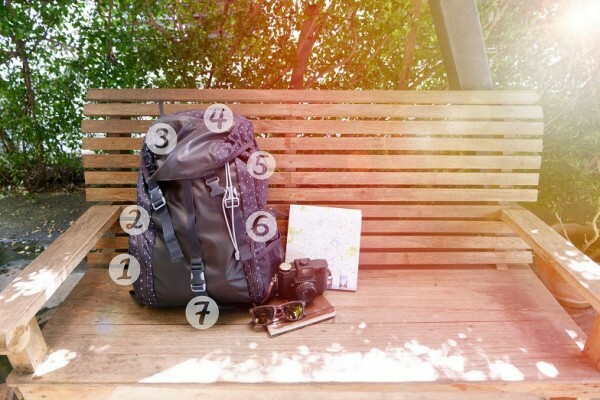 This means that when it comes to finding that elusive necessity, everything is wonderfully contained in a compact backpack, facilitating quick access while keeping everything organised. “When it comes to extended road trips with my family, having one or two central places containing the essentials makes things easier with one less thing about which to worry,” says Eugene Beck, CEO of RoadCover which provides a service of assistance to members in receiving full pay out of their RAF claims, without incurring any additional costs for themselves. Water bottle: Water is an essential on any road trip, keeping you hydrated while boosting the brain with oxygen which helps to keep you alert while driving. First Aid Kit: It is a good idea to use a transparent bag for this so that items can be accessed quickly. Include essential items here such as plasters, sanitizer or disinfectant, painkillers, prescribed tablets, hydration sachets, pills to stop gastro-related symptoms, alcohol wipes, burn cream, anti-histamine tablets and ointment, tweezers and earbuds. Toiletries: toothbrush, facewash, toothpaste, hand cream, suntan lotion and insect repellent. Insert this at the bottom of this pocket so that in case something leaks, it will not go all over the rest of your contents. On top of this include a raincoat and then a fleece-lined jersey. Bring with you a change of clothing such as shorts and t-shirts. You can also include your tablet or notebook in this compartment, with the clothing providing protection against any bumps. This position allows for easy access of you cell phone, music device, cables, charger, wallet containing your driver’s license, ID Card, medical aid card etc. It is also a good place to have emergency numbers written down and typed on your phone. Snacks such as energy bars, peanuts, raisins, and dried fruit. 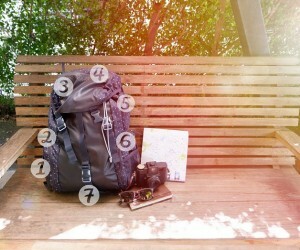 Make sure your bag is tied properly to keep all your items safe inside your backpack. “Backpacks may differ in design, but there are usually two main areas of smaller pockets and larger compartments,” comments Beck. “While road trips can be a fun way to start a family holiday, planning is key when it comes to making the most of a long road trip, making sure you get to enjoy every step of the way, while being prepared for all eventualities along the way to your holiday destination,” concludes the RoadCover CEO. RoadCover provides members with a service of assistance that manages road accident claims with the RAF from start to finish, enabling members who are accident victims to receive their full payout from the RAF, at noadditional cost to themselves.